If you have bought one of our many Insect Habitats and wondered if they really do attract insects- the answer is YES1 They need a bit of time to wear in, mellow, and for the insects to find them. 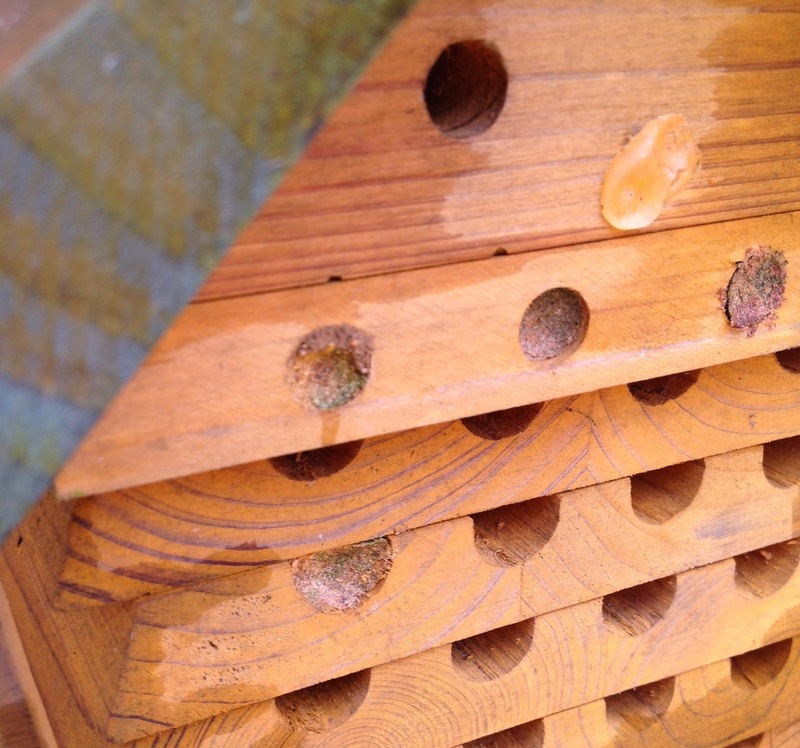 The photos below show one of out Solitary Bee habitats now in full swing. 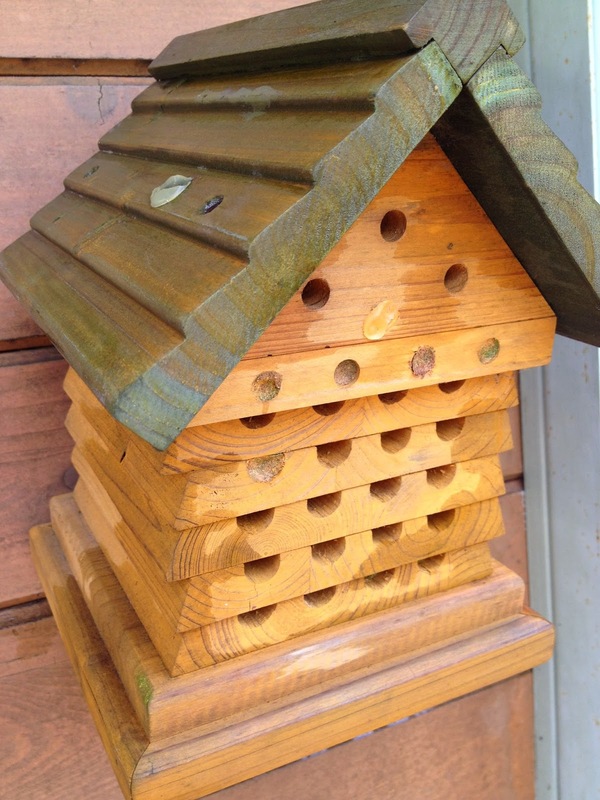 It took a year before the tiny little stingless bees found it and took up residents. The first thing they do is lay a single egg in a single chamber. Then the bee packs it with pollen for their larva to feed on. Finally they pack the rest of the chamber with moss, twigs and fine leaf cuttings to seal the chamber. The egg is now safe in the sealed chamber and when the time is right (about one month later) out pops a fully developed bee. Solitary Bees or Leaf Cutter Bees do not make honey in abundance like Apis Mellifera (hive) honey bees, but are very important helpers in pollenating plants.